Managed, Redis or Memcached-compatible in-memory data store. Amazon ElastiCache offers fully managed Redis and Memcached. Seamlessly deploy, run, and scale popular open source compatible in-memory data stores. Build data-intensive apps or improve the performance of your existing apps by retrieving data from high throughput and low latency in-memory data stores. Amazon ElastiCache is a popular choice for Gaming, Ad-Tech, Financial Services, Healthcare, and IoT apps. 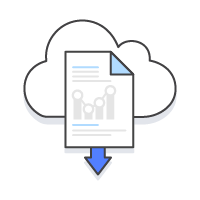 Amazon ElastiCache works as an in-memory data store and cache to support the most demanding applications requiring sub-millisecond response times. By utilizing an end-to-end optimized stack running on customer dedicated nodes, Amazon ElastiCache provides secure, blazing fast performance. You no longer need to perform management tasks such as hardware provisioning, software patching, setup, configuration, monitoring, failure recovery, and backups. ElastiCache continuously monitors your clusters to keep your workloads up and running so that you can focus on higher value application development. Amazon ElastiCache can scale-out, scale-in, and scale-up to meet fluctuating application demands. Write and memory scaling is supported with sharding. Replicas provide read scaling. Manage and analyze fast moving data with a versatile in-memory data store. Build a scalable Caching Tier for data-intensive apps. Learn how Adobe uses ElastiCache to build real-time apps. Learn how Airbnb uses ElastiCache for sitewide caching. Learn how Expedia uses ElastiCache for AB testing. Learn how McDonald's uses ElastiCache for eCommerce. Get access to the Amazon ElastiCache Free Tier. Explore how to create a Redis cluster. Begin building with help from the user guide.